So it starts. I have decided to mount a sidecar on a 2015 XG Street. I have measured things up and don't see it being that big a deal. Raked tree is some thing I will decide on after I test it. I will be looking at maybe using a Street Rod tree. The side car will be a Vilorex 563. With windshield removed. Most like will be winter work , however if time allows I will star on it sooner. Solo750owner, Subike and chabro like this. Smitty you are a man with a vision, good luck on this project. Thanks, not my first time stepping out of the safe zone with projects. I'm looking forward to your reports on this. The more I learn about sidecars the more I want one for late and early season riding, although that's going to be a year or two down the road. 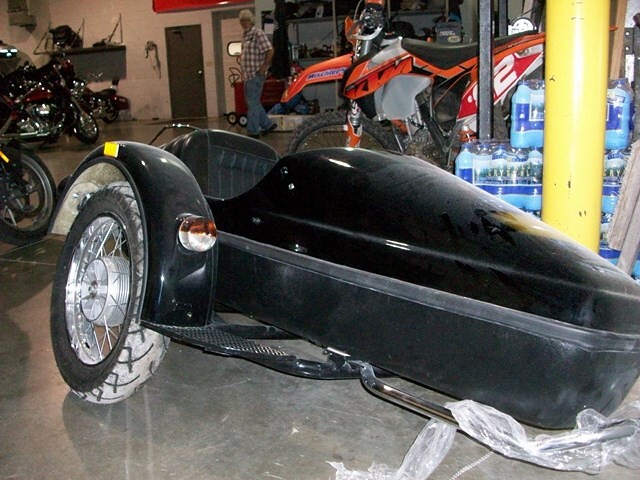 After the initial installation is it difficult or time consuming to take the sidecar off and reinstall? What draws you to the Velorex 563 as opposed to the slightly lighter 562? On another thread you mentioned the 563 has a slightly larger wheel. What is the significance of that? Is that desireable due to reduced rolling resistance? Maybe it makes for easier alignment with the tug? If can make a difference in mounting the sidecare if heights are closer it is easier. I will likely make some changes . The 563 has a spoke wheel . I should be able to fit a bearing to a XG rim that will allow me to use an XG front wheel. Height of the tire has no impact on roll . Width does and side does not need a wide wheel. As I go through this I will try to past on experiences and what I have learned about them. On my fatboy I did not need a raked tree the street stabilizer work fine. I am hoping for the same results with the XG. This is the bike it will be matted to. 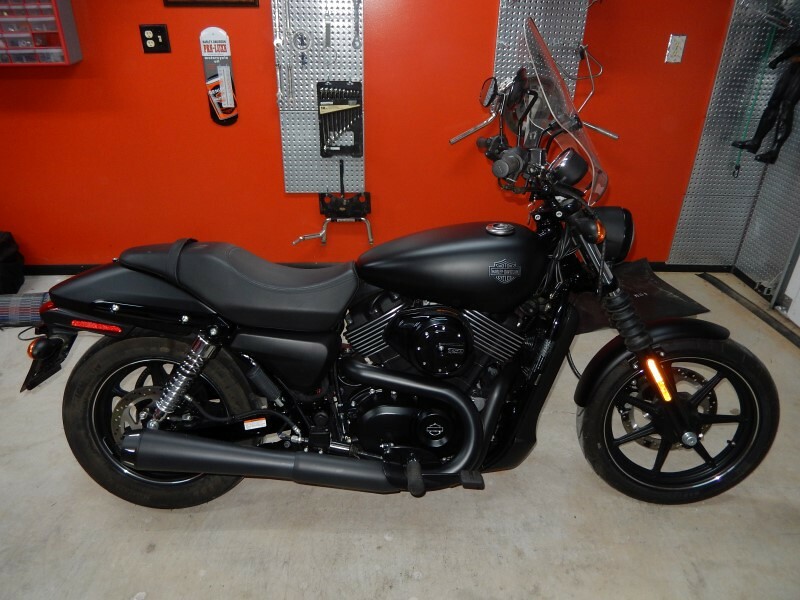 2015 XG750 with 600 miles on it. In a few weeks I will get it in the bike room and start figuring out the mount points. The sidecar it dusty but that will wipe off. Thinking about fitting an XG wheel to replace the spokes. Working on a couple different approaches for mounting . It will also get a flat black paint job to match bike. Granddaughter wants pink. Looking forward to seeing the finished product. This is an idea I've been toying with myself. Sidecar have there own leaning curve. The do require building so new inherent riding skills. But nothing most can not do. They are not a car and they are not a motorcycle. As for mounting I think most with some mechanical skills can get it done. You get it as close as you can to instructions then work on fine tuning it. As this goes along I will try to cover that and explain why I am doing some of what I do. I want to keep stock exhaust on it. It should be out of the way and no need for a loud pipe blowing the riders ears out. The 2015 XG750 has an interesting rake to the front end. I am planning to try a steering stabilizer first and avoid a raked tree. Hoping this weekend to lay out lines on the floor to measure off of. The side car wheel needs to be ahead of the center of the bikes rear wheel. The sidecar will need about a 3/4 inch toe in and the bike a 1 degree chant toward side car. Having good lines to measure off of makes it a lot easier. This is a project that if time was important , it could be done in a day but lot going on right now. Also I have a 9 year old grandson that will be helping so need to work around when he will be here. Been kind of lazy this summer bike room is a mess. Stuff needs to be moved around to make room. The 1 degree chant is so that when you get on the bike it returns to straight up. One of the things you may tweak a bit once everything is mounted up. Without the sidecar wheel being properly ahead of the bike rear wheel you would not be able to turn. Toe is something you may very well adjust a little also . Last edited by smitty901; 08-29-2017 at 07:48 AM.